Closing your IRA early can cost you extra on your taxes. 2. Can Early Distributions From Retirement Plans Be Used to Pay College Tuition? 3. What Does Qualified Distribution Mean? One of the benefits of using an individual retirement account over an employer plan is that you can get your money out any time. However, you might owe additional tax penalties. The IRS doesn't penalize you just because you closed your IRA, but rather when you take out money before you're allowed to take qualified distributions. If you close your IRA with a qualified withdrawal, you won't owe any penalties to the IRS. For traditional IRAs, you can take qualified withdrawals once you've reached age 59 1/2. 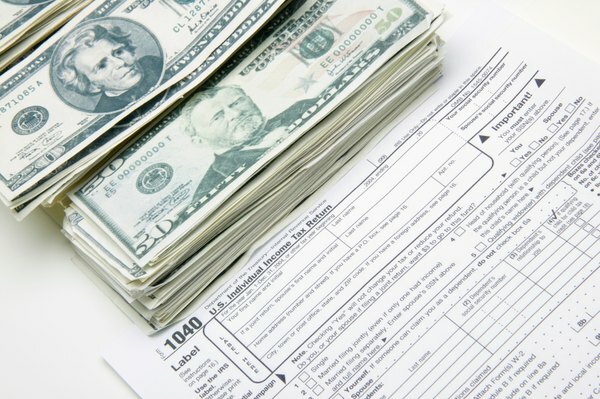 You'll still owe taxes on your qualified traditional IRA withdrawals, but no penalties. Roth IRAs are a little trickier. First, you must wait at least five years from Jan. 1 of the first tax year you made a contribution. Also, you must be 59 1/2, permanently disabled or taking out no more than $10,000 over your lifetime for a first home purchase. A qualified Roth IRA distribution, even one taken to close your account, won't cost you anything in taxes or penalties. When you close your IRA before you can take a qualified withdrawal, the IRS imposes a 10 percent additional tax penalty on just the taxable amount of the distribution. For traditional IRAs, that means all of the distribution except any nondeductible contributions in the account. For Roth IRAs, that means only the earnings because all Roth IRA contributions are nondeductible. For example, say your Roth IRA has $45,000 in contributions and $20,000 in earnings. If you close it, the $45,000 of contributions isn't penalized because it isn't taxable income. Only the $20,000 is taxable, so you'll only pay a $2,000 penalty. You might qualify for an exception to the early withdrawal penalty, but you'll need something more specific than a generic "financial hardship." Blanket exceptions, that get you out of the penalty no matter how much you're withdrawing, include a permanent disability, a series of substantially equal payments and qualified reservist distributions. Other exceptions, which only apply to a specific dollar amount of your withdrawal, include up to $10,000 for a first home, medical insurance premiums paid while unemployed, higher education expenses for you and your family, or when the IRS levies your IRA. Besides paying extra in taxes, you'll also have to spend extra time filling out your taxes when you close your IRA with an early withdrawal. Form 5329 is used for figuring the amount of the penalty, reporting exceptions to the early withdrawal penalty or both. For example, say you close your IRA and $50,000 of the proceeds are taxable. If you spent $10,000 on your daughter's tuition, only $40,000 is hit with the penalty, so you'd owe an extra $4,000 in penalties on top of the income taxes on the distribution.